NIA CHARLESTOWN NEVIS (December 06, 2017) — The following is an address by Mr. Elvin Bailey, Supervisor of Elections in St. Kitts and Nevis dated December 06, 2017, on the guidelines for the Nevis Island Assembly Elections scheduled for December 18, 2017. His Excellency Sir S. W. Tapley Seaton GCMG, CVO, QC, JP, acting on the advice of Premier, the Hon. 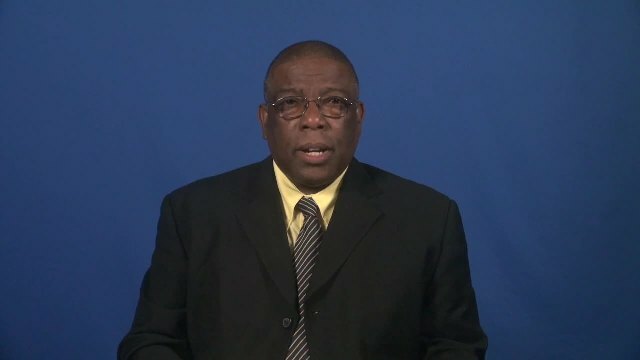 Vance Amory, dissolved the Nevis Island Assembly on November 30th, thereby paving the way for the conduct of an election on the island of Nevis on December 18th. The necessary and appropriate steps have been taken to give effect to the Writ of Elections. There are 5 electoral districts, all along parish lines. We are confident that this combination of new and experienced officers, having had the necessary training, will execute their duties professionally. They will be at the nomination sites from 10 a.m. to 1 p.m. and from 2:00 p.m. to 4:00 p.m. to receive nominations. Nomination Day has been set as Monday 11th December. Consistent with the National Assembly Elections Act, nominations for duly qualified candidates to contest this election will take place at the following places between the hours of 10 a.m. to 1p.m. and 2 to 4 p.m. and will each be attended to by its Returning Officer. Candidates must be nominated by two or more registered voters of the district in which the candidate seeks election, subject to the conditions set out in subsection 59 of Part IV of the Act. In due course, an announcement will be made of the successfully nominated candidates. The Register of Voters for this election, consists of the persons who were registered to vote as of 30th September 2017. This is in accordance with Section 48 (1) & (2) of the National Assembly Elections Act which indicates that the register should include the last revised monthly list. The Writ from the Governor General, having been issued on 30th November, means that the revised list published in September is the cut-off point. After exclusions of names from the register due to deaths and objections, there are 11,303 registered voters – 2,025 in District 1; 3,910 in District 2; 1,650 in District 3; 2,338 in District 4 and 1,380 in District 5. Overall, this represents an approximate 12 percentage increase since the election of 2013. Thus, we have had to make adjustments to some polling stations. Where you voted last time is not now as important as to where you will vote this time. So please ensure that you know in advance where your polling station is. In any case, these listings will be made available soon and will be posted in conspicuous places per district. One is already available at the office in Charlestown. I am encouraged that the public is already examining the register to ensure their names are registered and for where. I urge them to continue to do so. These registers will be displayed in the public domain but are currently at the Electoral Office in Charlestown. Thirty-four polling stations have been established to accommodate voters. For ease of the voters, every effort has been made to keep each station at no more than 450 voters and a list of the stations will be published in the local newspapers and displayed at public buildings in each district. Polls will be open at 7a.m and close at 6 p.m. Any and all persons in line in the precinct of the polling station at 6 p.m. will be allowed to vote. Anyone who comes in line after 6 p.m. will not be allowed to vote. Persons whose National Identification cards have expired, persons who have misplaced or lost their cards, once properly registered, will be allowed to vote upon presentation of any other form of government issued picture identification. The Presiding Officers will also be equipped with picture lists to aid in identification. Presiding Officers, Polling Clerks and Tally clerks, will be appointed and are mandated to undertake their assigned tasks without partiality, fear or favour. The Presiding Officers will be responsible for the maintenance of order at the polling stations. Voters are asked to pay special attention to the instructions of the Electoral Officers, in particular, to those of the Presiding Officers and the conditions under which one’s vote will be inserted into the ballot box. Under the watchful eyes of the security forces, Presiding Officers will receive all election materials including ballot boxes on Sunday 17th December. All such materials will be displayed on the morning of the poll before the start of the voting. Ballot boxes will be displayed, inspected and locked before ballots are cast. At the close of the polls, boxes will be sealed and transported to the point of counting under armed guards and in the presence of Party Agents. Indeed, the political parties have been invited to appoint agents to witness all that goes on in the polling stations as well as at the count of the votes cast. Special attention will be paid to the folding of the votes so as to ensure the secrecy of the vote. Results will be announced on national radio and television stations. I appeal to the public to pay attention to the Electoral Offences, all of which carry prison terms and fines. These too will be published in the newspapers. I invite the public to join all electoral workers to ensure that the elections are peaceful and that each person gets one vote in the right place. All eligible voters, duly registered, are urged to exercise their franchise by voting on December 18th. If you are not properly registered, do not attempt to vote and do not impersonate a voter. Employers are reminded that employees should, by law, be allowed time to carry out their constitutional right to vote. Finally, the firm of Fujitsu, who supplied our system and that of several regional and international electoral bodies, was commissioned to assess the health and integrity of our system. Their representative conducted the exercise from Thursday to Saturday last. His verbal report indicates that the system is fine and that our database has not been compromised at all and that our national identification card continues to have strong anti-counterfeit features. This should be of great interest to the voting public. Thank you for your attention and may God continue to bless us all.